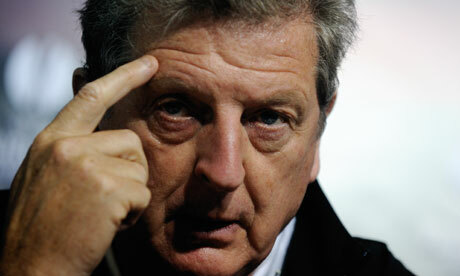 England Manager Roy Hodgson thinking about his ZFC picks for 2013/2014. There are many ways to measure the overall performance of a team when preparing to make your 2013/14 ZFC predictions. Some examples, looking at ex-captains drafting their players who have played amazing with them, the top 10 scoring leaders from the previous season, players coming together from other tournaments, players who are new to the league. Fearless predictions? Hardly. Only the bravest (or most foolish) of souls doesn’t get a little rattled when trying to forecast what will happen in an upcoming ZFC season. Luck sometimes plays a huge role in wins and losses, which is why margin of victory is a better predictor to use when making predictions. Still, with the 2013/14 season about to kick off, three of our biggest ZFC fans couldn’t resist calling the playoff teams, the clubs most likely to rise and fall, the past champion and each captain offers some commentary on his draft picks. With 10 Teams participating this year and only 8 teams qualifying for the playoff race, it will be one heck of a competition! We have here Mogoka FC, a team which has gone through a big trade involving three players. In this trade Captain Jabir was able to receive Sarfraz Pyarali, Ali Abdulrasul & Tanvir Bhayani. Sarfraz Pyarali a player from Kenya and new to the league has already got spot light all over the league. He has the skills and will be playing a big role as a playmaker on this team. We also have Mohamed Railey who still maintains his presence as a 2nd round pick. Railey will be playing heavy minutes to give his team the boost. In defense we have Taha Jaffer, who has had trouble with injuries however looks to be back in shape very soon. The dark horse on this team is a new player named Ali Abdulrasul, rumours are Ali has great ball handling skills and can finish like Ronaldo. There is a new addition to the team Rizwan Merchant; he will definitely give some support in the mid however this team will really have to pull a miracle to be in the playoffs. The famous Mozambique Stars have always managed to surprise the league every year. We have here the entire Najarali family playing together with the exception of a few other good players. At first pick Mo Mahdi was selected followed by Sajjad Najarali. Mo Mahdi has always been one of the top scorers in JSA although this is his first time playing in ZFC; nothing will stop him from scoring goals. Sajjad will be the backbone of this team as he brings the control and physical skills to the team. On another hand we have Imran Najarali who is a rising star. Imran has developed a name for himself in various tournaments and leagues. Don’t forget we also have Mikey Hemani; he will surely have new shoes this season so watch out for him! It will be a competitive race at the bottom of the table. Veteran Captain Muna drafted a different set of players from his past yrs. Aqil Najafi was the first pick followed by Imran Virji. To add more boost to the team, Captain Muna drafted Shan Sardar, who will be missing the first half of the season. Aqil, Imran & Shan will be the main force on this team. Not to forget Azwar Khalid & Samir Damani will be playing key roles to get this team wins. Gymkhana may fall weak for the playoff race due to players missing games and weak defence however don’t underestimate them. Keep in mind that with all players on the field they could be a dangerous team. They will be able to sneak through for the last playoff spot. First time captain MRP drafted the famous Abbas Hasham. Rumours were that Abbas was suppose to go for surgery last season however he has recovered very well and proved that he is worth a 2nd pick in the draft. MRP did have a different strategy in mind while drafting his players. He drafted Mehboob Allidina very early as he didn’t want to take a risk at losing out on him. Mehb is the playmaker on this team and will be connecting with Abbas Hasham and others. Newly acquired players Hasnain Abbas & Sibtain Merchant will be the backbone of this team. It will take a lot to break this wall down. Other picks were Mustafa Rashid, Aljawad and Sarfraz Juma. Mustafa is a rising star and has proved in JSA that he is ready. We have another new captain to the league Adil Champsi. Adil entered the board room with no papers and all the players’ names in his head. Many captains were surprised but they knew he did his homework. Adil did have the last pick in the draft which sort of worked out in his favor. In first round he picked Jawad Janmohamed followed by his brother Abdul Champsi. He managed to then draft Muhammed Kara, who will be looking for opportunities to finish and get goals. The other key players to mention are Mazaher Rajani who will be the backbone for this team and don’t forget the veteran Hasnain Panju. The team will ideally revolve around the 4 pillars Adil, Abdul, Jawad & Muhammed Kara. If they get their chemistry right, they will surely go far in the playoffs. The Season Preview – Part 2 will be published on Friday.